Oppo is a renowned company which has marketed smartphones that pretend to be best camera phone in the market. However, those phones are somehow not that so good. 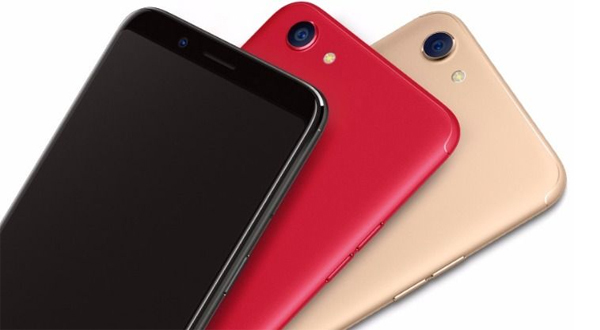 This time, Oppo has launched its new smartphone, the Oppo F5, and the company claims it to be the best smartphone. Let’s check out the smartphone if it’s worth the pricing. The new Oppo F5 has been built on an aluminum body which makes it look sturdy as well as makes it durable. The smartphone also possesses protection of gorilla glass in the front which prevents your screen from getting scratched. The smartphone has been featured with the latest bezel-less design identical to that of Samsung’s S8 and S8+. The smartphone, overall, feels good in hand and also looks premium. The Oppo F5 acquires an earpiece at the top of the screen followed by a front facing camera and a sensors’ home. The capacitive touch home, recent app and back buttons can be found on the screen. Turning the device, we can find device’s main camera alongside the LED flashlight and a fingerprint sensor. The company could have, however, featured a front facing LED flashlight. The fingerprint sensor also works good and is responsive. The Oppo F5 is featured with micro USB 2.0 port, yet the company could have featured the type-C reversible connector instead of the micro USB. Besides, the bottom part contains an earphone port, a microphone and a speaker around the USB port. The right side of the device contains a power button and a SIM card slot, whereas, the volume keys can be seen in the left side. 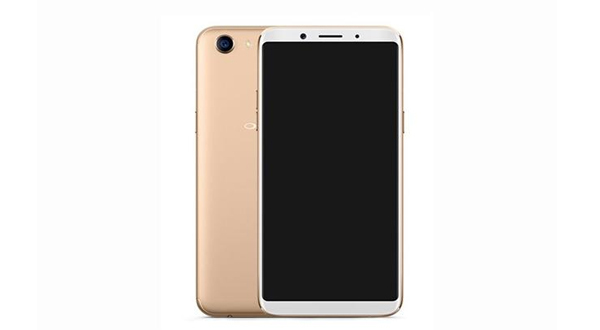 Moreover, the Oppo F5 comes with 6.0 inches LTPS IPS LCD panel screen. Nevertheless, the company could have used Super AMOLED panel to make the device more competitive. Further, the screen possesses 1080 x 2160 pixels resolution. The screen is good, and the color production is okay. The device also provides good viewing angle. Oppo, besides, ships the F5 running with Android 7.1 Nougat. The device, however, is clocked with old gen Mediatek MT6763T Helio P23 chipset, Octa-core 2.5 GHz Cortex-A53 CPU and Mali G71 Mp2 GPU which might not be acceptable. Besides, the device is available in two variants; 6 GB RAM, 64 GB ROM or 4 GB RAM, 32 GB ROM. Moving towards camera, the Oppo F5 possesses 16 MP rear camera with the large aperture of f/1.8. The camera provides satisfactory image at the daylight and the camera also works good in the lowlight condition. The front camera, as the company claims it to be the best selfie camera, is good. The front camera shoots some nice self-portraits in the daylight, however, picture quality degrades in the lowlight area. Further, both front and the rear camera comes with different features like beauty mode and all which might help you out to take some good pictures. The Oppo F5, besides, is powered with 3200 mAh battery. The battery has got good backup capacity and can last for a day with a single charge. However, the device lacks fast charging which might degrade its reputation in the market as there are many smartphones which provide fast charging in this price segment. If you are looking for a smartphone that has got good camera, you can obviously choose this device, but if you are the one who is looking for a device with a good processor and many other features, please do not buy this phone.